While not specifically a sleeping porch, Dave and I often slept in our screen porch when we lived in Nebraska - popped some popcorn, enjoyed a movie, then snuggled up in the fresh air and cool breezes. Now imagine in the warmer months of the year sleeping in such a place - especially those evenings where the temperatures are cool and you can feel the fresh, cool breeze - without being bothered by the bugs. 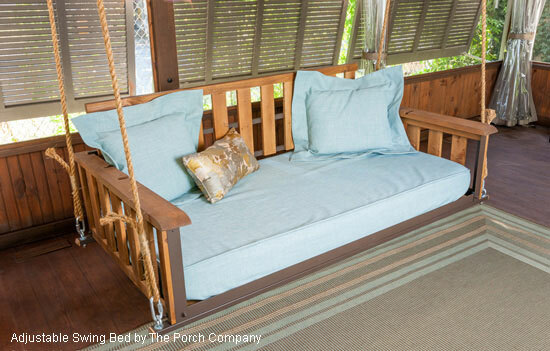 Porches for sleeping are becoming more popular as folks want to enjoy their outdoor space. Some homeowners are even remodeling their homes to include a porch for napping and relaxing. There are many kinds of porch screening materials you can use for your porch. 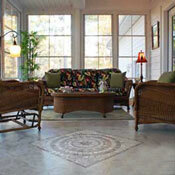 A sleeping porch is most often found on homes where there is an elevated deck or balcony. It is usually screened and outfitted for sleeping comfort. 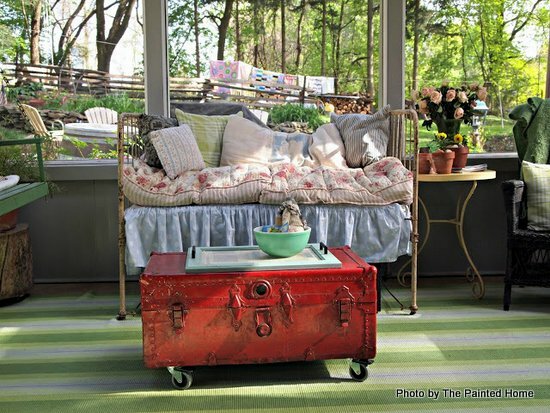 If you are lucky enough to have a sleeping porch, your Sundays often consist of an afternoon nap, the smell of fresh cut grass, along with kids laughing in the yard. The screened nature of these porches make it perfect for enjoying the outdoors while catching up on your rest after a crazy work week. In order to make the most of these great additions to your home, select nice furniture along with extra comfortable bedding for your porch. Think about the theme and purpose of your porch. You might even want bunk beds, platform beds or a traditional day bed. Day beds are a really good idea. Their high backs let you use them for entertaining your friends by day and sleeping by night. Day beds come in lots of styles to match your style. 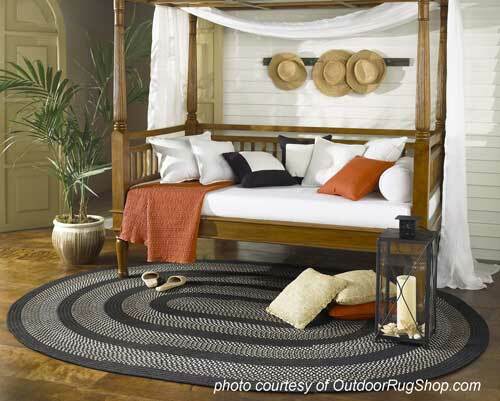 Some companies like Barlow Tyrie design day beds that are specifically intended for outdoors, like a wicker style. An Ottoman adds even more comfort. 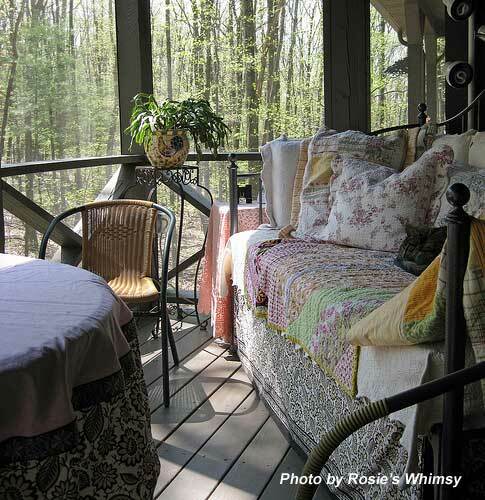 If your bedding is flexible, you can use your porch even as the temperatures change. You could purchase four different bedding sets and change them with the seasons, but we think a better idea would be to have one duvet cover that can be used with alternating fills based of the weather. A down fill for the cooler seasons and then polyester fill as you move into warmer temperatures. If you have a large family or just want to keep your bedding looking nice longer, then select darker colors and patterns. They help to hide natural wear and tear. If you're like us, you will want to spend a lot of time on your porch, so make it a comfortable place for you and your family. 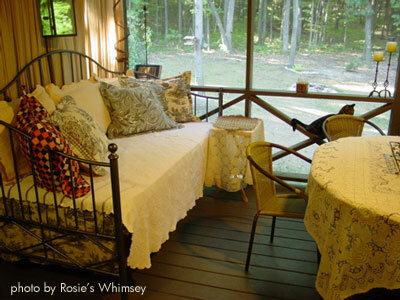 Add an air of sophistication by creating a sleeping porch like the one shown below. 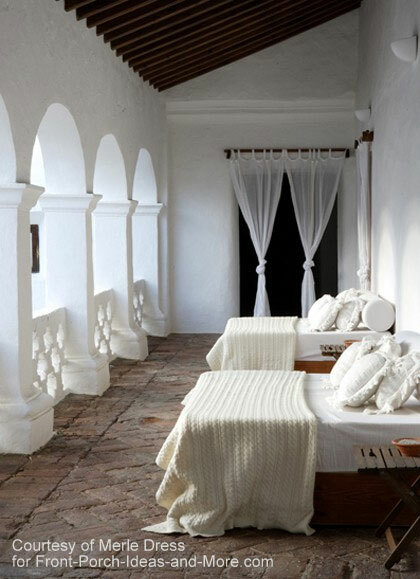 Doesn't the daybed, piled with comfy pillow, look so comfortable? See more of Denise's back porch? Mary and I found a solution for creating the perfect porch - screen porch windows. 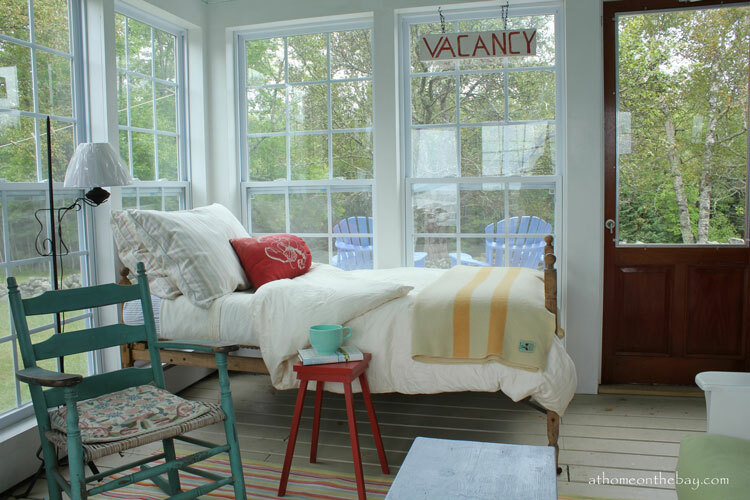 Turn your screen porch into a three-season porch easily with windows that open almost all the way as screens or close them during the cooler months.